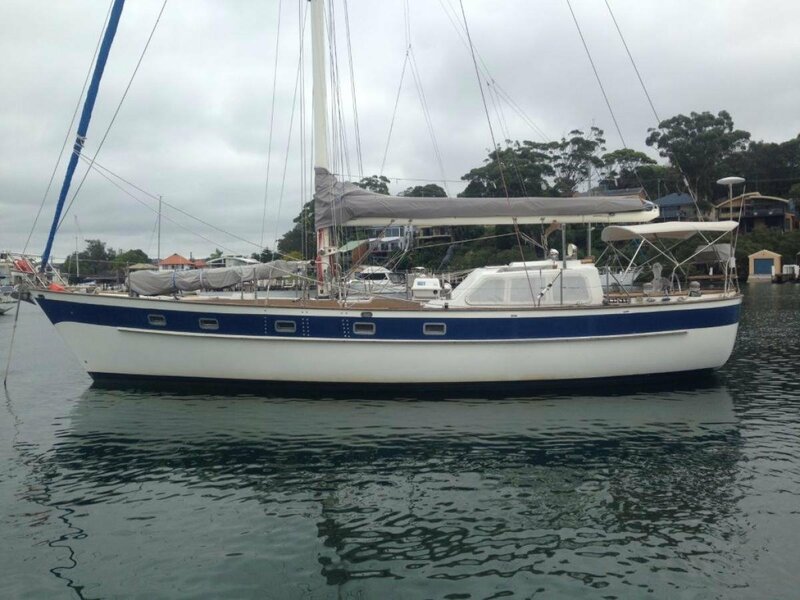 This 1982 Brewer Oceanic 43 now available for sale. It has been said that "Ted Brewer got it exactly right on this vessel"
Built with a legitimate two station pilothouse arrangement to add comfort and safety in heavy weather she is a confirmed passage maker that is easy to balance and very predictable. Brewer designs are also good light air boats. This flush deck design offers easy access to the foredeck, and with the pilothouse she has increased living space below. The canoe stern design not only provides great safety in a following sea, but also prevents hull slap at the stern when at anchor at the dock. The layout between port and starboard is well balanced with heads and berths on each side of the vessel. This makes for ideal comfort on either tack. Fuel and water storage is unmatched in similar size boats - great for that long live aboard voyage. The vessel had a major refit in 2001-2002 and has been well maintained since. 9000 lbs Encapsulated in Hull. Skeg hung Rudder. Twin Sinks. Microwave. Toaster. Crockery, Cutlery, Pots, Pans. S/steel 4 burner gas stove and oven. DVK monitoring system - gas detector. 2x hot + cold. Large sump for showers and drains with rule 2000GPH. Muir 12volt windless [new 2002] 2x CQR Anchors [60 & 40 lbs] ALL Chain Anchor Warp. 3 x AGM (absorbed glass matt) sealed batteries, engine driven alternator, Battery monitor - Xantrex Smart charger, and small inverter for phones, computers etc. Shore power. Washing Machine. Vacuum cleaner. LED Lighting. Latest generation Raymarine ST60 Log, Wind. Navman GPS. Coursemaster auto pilot [Hydraulic]. 2x Fish Finders. 7x Winches [2x are electric]. Deck Wash.